At $9.99 that would have been worth getting if you were in the US. There are some stupid prices now on LE Xboxes and using working replacement innards you probably could have turned that into one which would sell for ten times as much, even cosmetically imperfect as described. In the UK recently I've seen a LE standard translucent green Xbox ie. not the Debug or 'Special Edition' ones, selling for £100 ($130), recently priced dropped to £95. Thing is that although they are LE models, apparently only 5000 were sold in the UK/EU and the rest of the 20,000 in Canada, they were very common and easy to get at the time. I bought one because it came with two Controller S and so the fact it was £15 more that a standard black one meant it was actually the same price in effect. Much the same, questionable LE status applies to the standard Crystal 'LE'. Again it was very common in the UK/EU particularly the v1.6 ones which were sold off cheap when MS pulled the plug on the Xbox in late 2006. That came with two Controller S too so was very good value at that time. I did not buy one new but about 18 months later picked up a good used example, with both controllers, for the same price as a used standard black version. 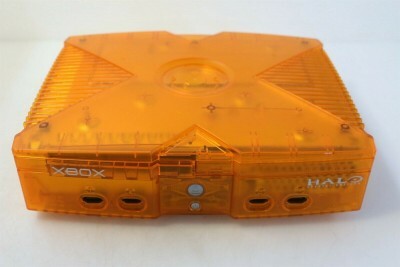 Crystal Xboxes were sold in Canada too but not in the US so Crystal Xboxes are rarer and so usually sold for significantly more there. On UK eBay the current prices are from £20 (inc. UK shipping) up but there are still loads of them being offered. 20K? Is that a typo or did somebody actually bid $20,000? You see some genuine LE ones listed on eBay started at around £300 ($400) and I've seen the standard LE translucent green ones at the same sort of price too. But I think even that is a bit of a joke.